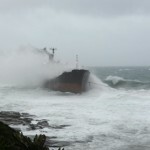 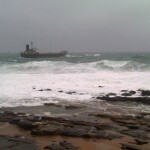 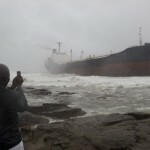 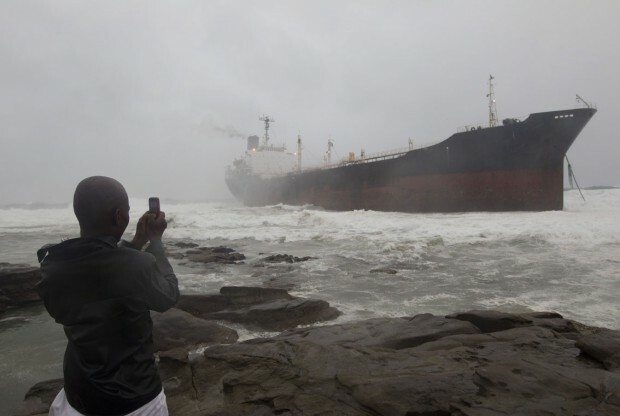 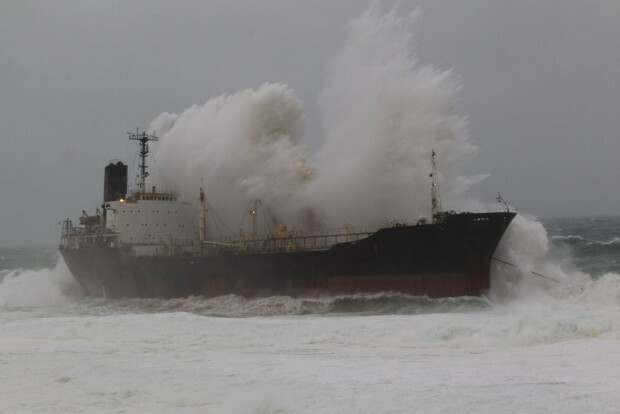 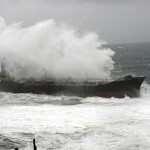 The 164 meter long bulk freighter Phoenix went aground in heavy seas in Christmas Bay near Durban, South Africa. 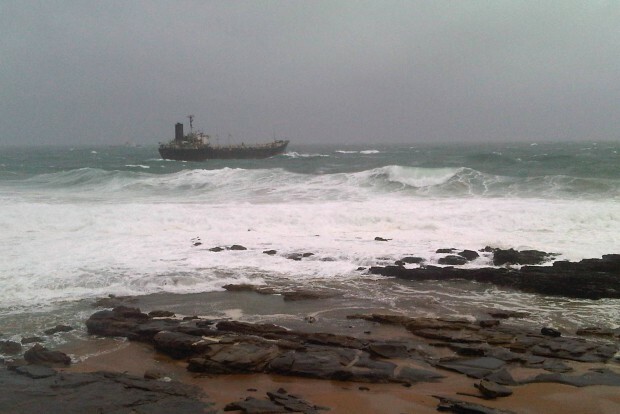 The Phoenix was under the control of a skelton crew as it was headed to India to be scrapped. 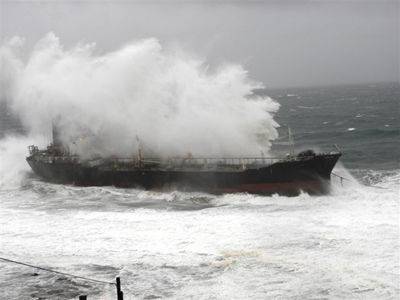 As the vessel encountered rough seas, the crew dropped anchor to ride out the bad weather. 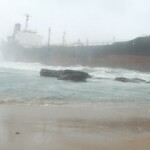 However, the anchor line broke and the vessel began to drift towards shore. 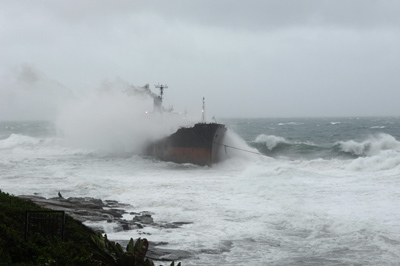 A nearby salvage tug attempted to connect a towline to pull the Phoenix to deeper water, but the weather conditions made it impossible. 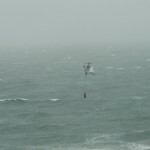 Waves were 4 to 6 meters and winds reached up to 30 knots. 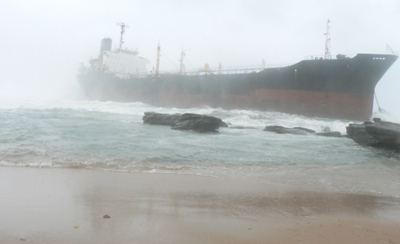 Pushed by the waves, the vessel struck bottom some 200 meters from the shore. 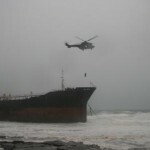 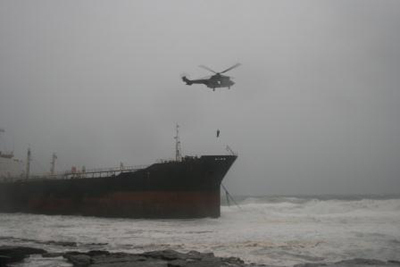 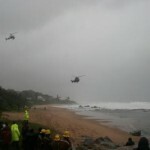 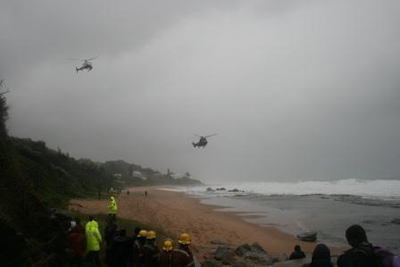 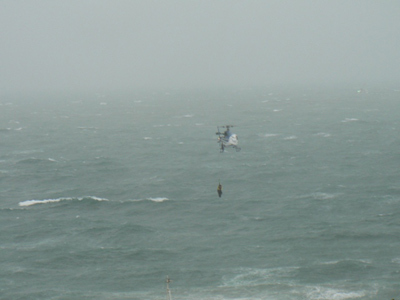 The NSRI responded sending out three helicopters who airlifted all 15 crew to safety. 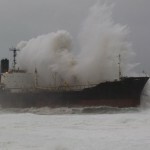 A salvage company has already begun operations, but it is likely the vessel will be cut for scrap where it currently rests.